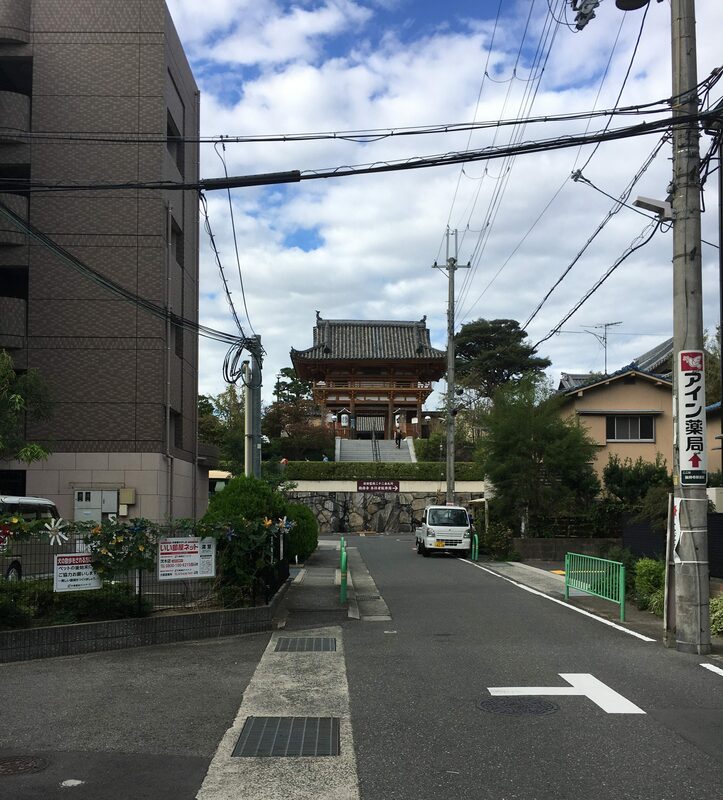 In Ibaraki City, the middle of the residential area of Osaka, lies Soji-ji [総持寺], one of the 33 temples of the Saigoku Kannon Pilgrimage. 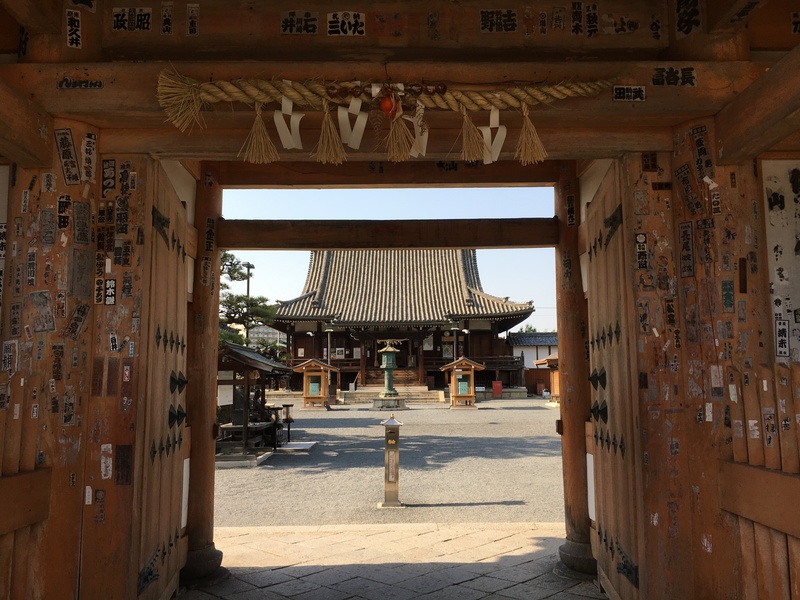 Though this temples is not that big at all nor is it a tourist spot, people constantly visit Soji-ji making it disputably the most famous temple in Osaka. 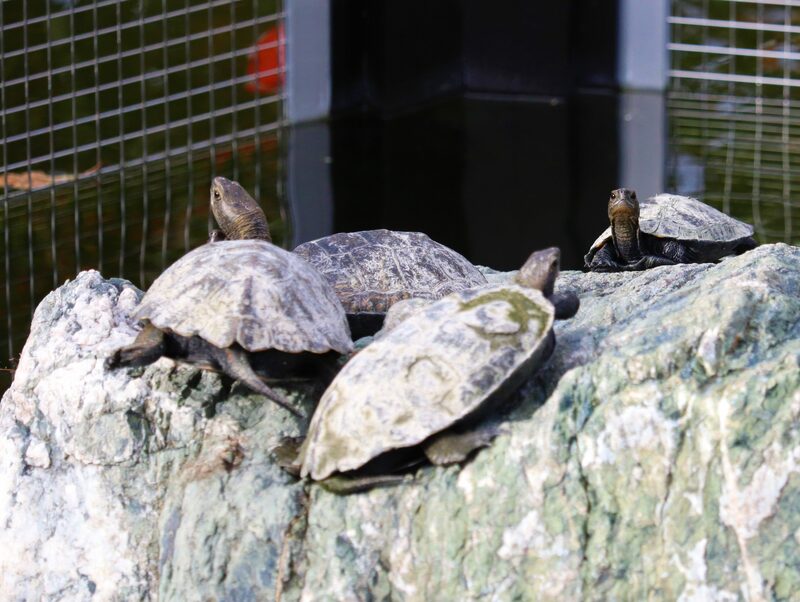 The temple also is famous for something rather unusual, turtles! 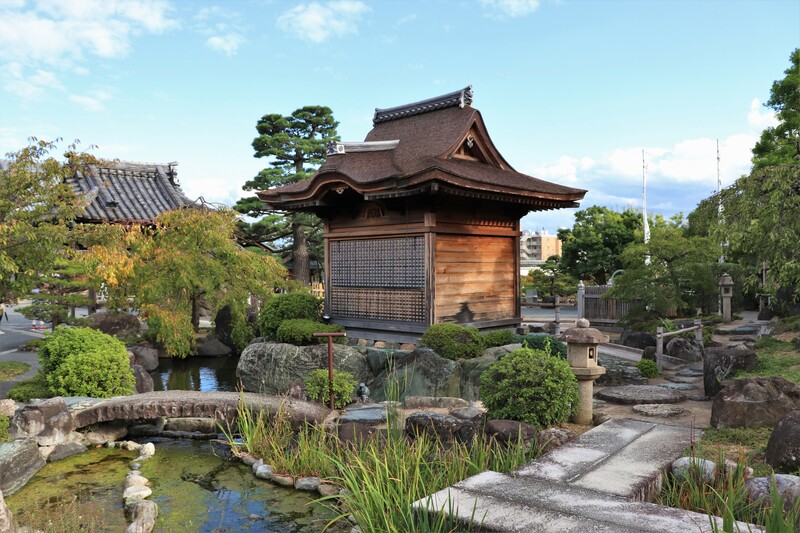 Temple records suggest that Soji-ji Temple fist emerged date back to the Heian Period. 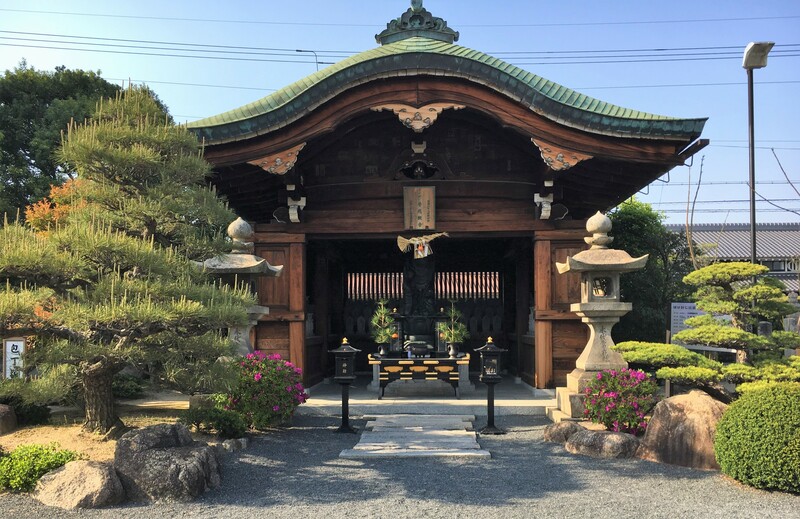 According to temple lore, Soji-ji exists because of a very special encounter between man and turtle. One day, Fujiwara no Takafusa saw fisherman catch a turtle. Because it just so happened to be a day commemorating Kannon Bosatsu, he took pity on the turtle. He then bought the turtle released it. One night, Takafusa’s wife threw her stepson, Yamakage, in the river. When Takafusa was mourning for his lost son, the turtle that he helped came back to him with Yamakage on his back. 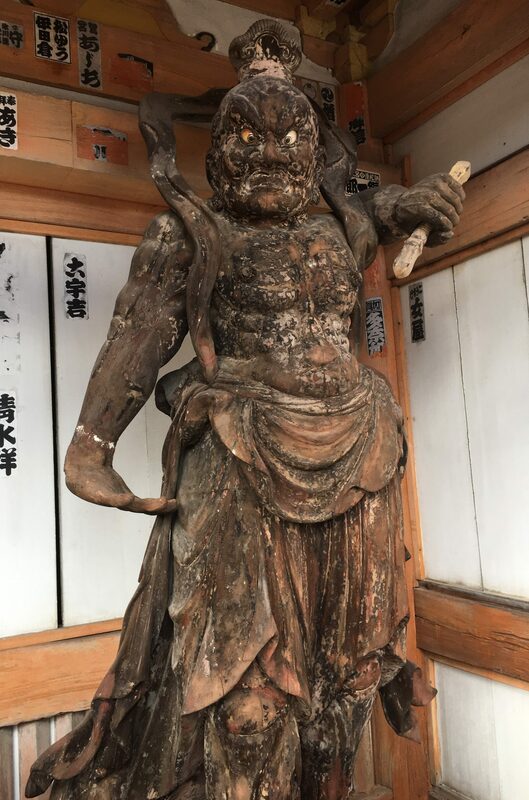 When he heard this story when he was older Yamakage felt greatly thankful to this, he decided to make a statue of Kannon. 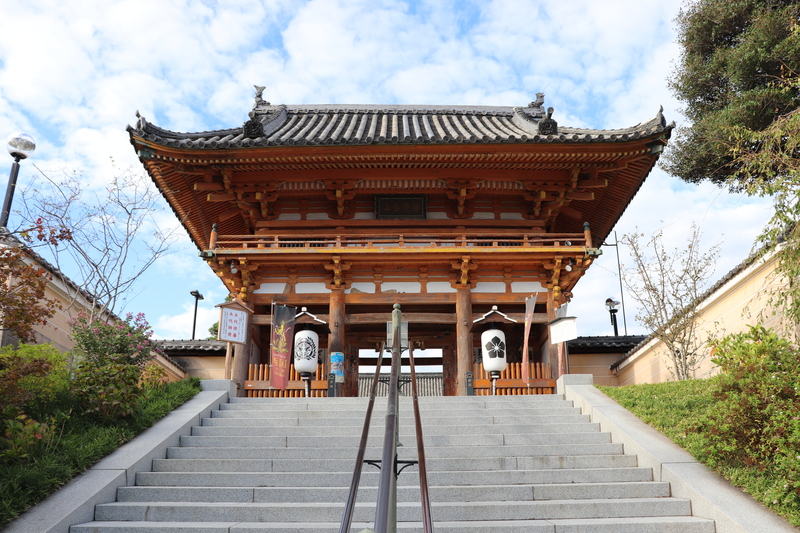 Later Yamakage went to Hase-dera in Nara to practice and there he met a sculptor, led by divine providence. While the sculptor was making a statue, Yamakage, a reputable chef, cooked him during the thousand days it took to carve the statue. 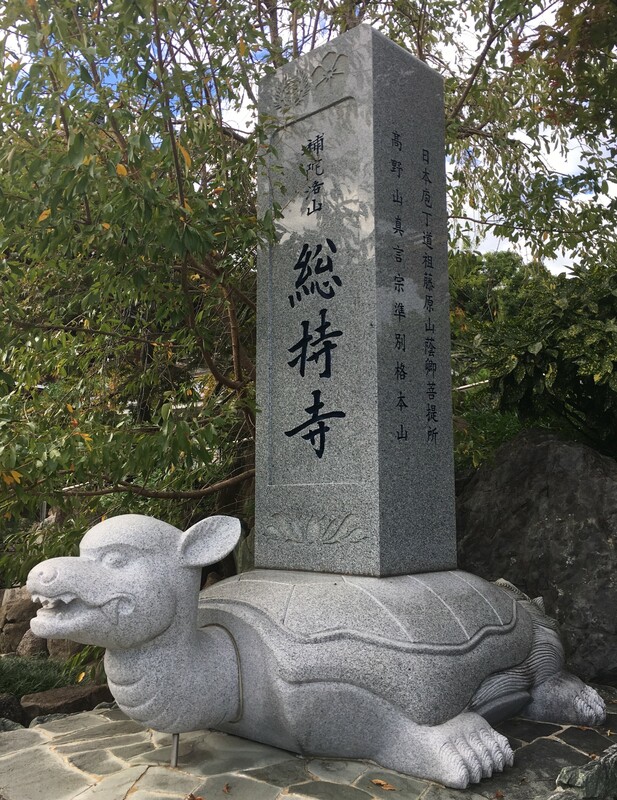 When the sculptor completed the statue, he disappeared into the sky and there was a Kannon statue on the turtle. This is why the main statue of Soji-ji is Kannon statue ridding a turtle. The closest stations to Soji-ji Temple is JR Soji-ji Station off of JR Kyoto Line or Soji-ji station off of Hankyu Kyoto line. Both takes roughly 15 minutes from Osaka/Umeda station though JR is less expensive. Be sure you stay alert! The temple can feel like it comes out of nowhere. 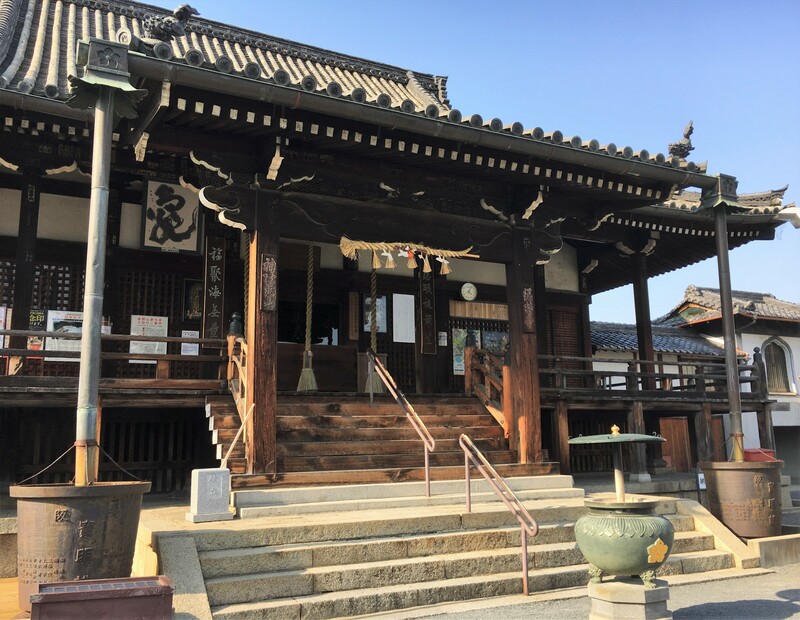 The temple sits on a hill and it takes only 3 minutes from both stations to Soji-ji but since it is completely surrounded by houses—so it may take a little searching. 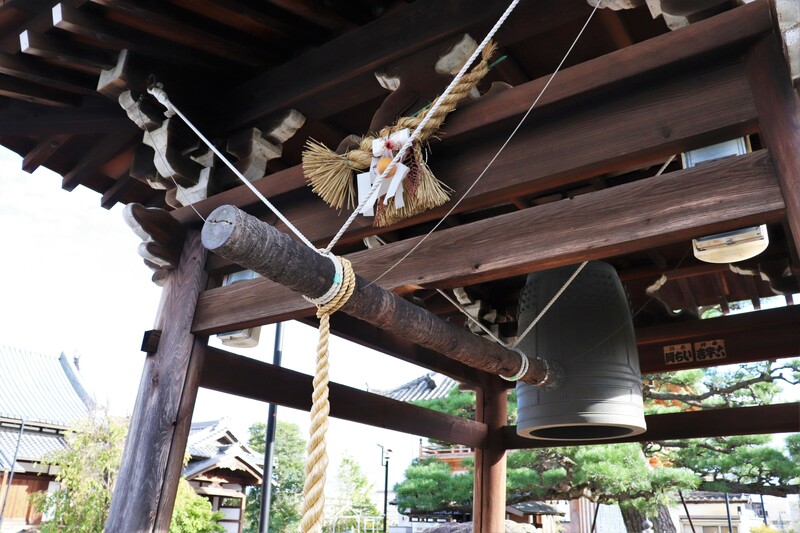 Soji-ji Temple is quite small temple when compared to the other temples of Saigoku Pilgrimage. Though this temple is small temple now, it was once huge. However, after Nobunaga destroyed this temple in 1591, the temple lost a lot of land. Once you get in you will see Hondo. Interestingly, when Nobunaga burnt down the temple, the lower half of Kannon statue was burnt but his upper half was totally fine. Because of this, people worship this statue as they believe it can prevent fires. The statue of the Kannon statue of the turtle is enshrined in the hondo, but unfortunately it is only public on April 15th-21st. 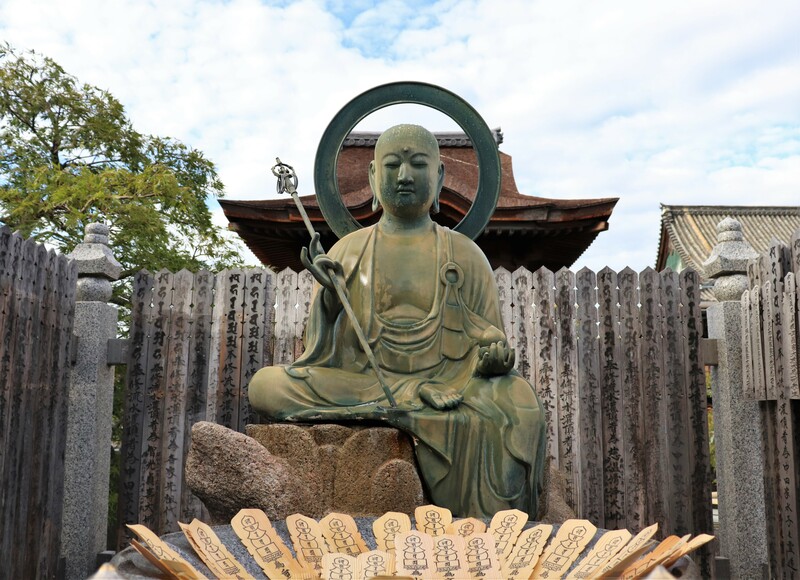 Bakku yoraku Jizo: getting rid of pain and give you a luck. 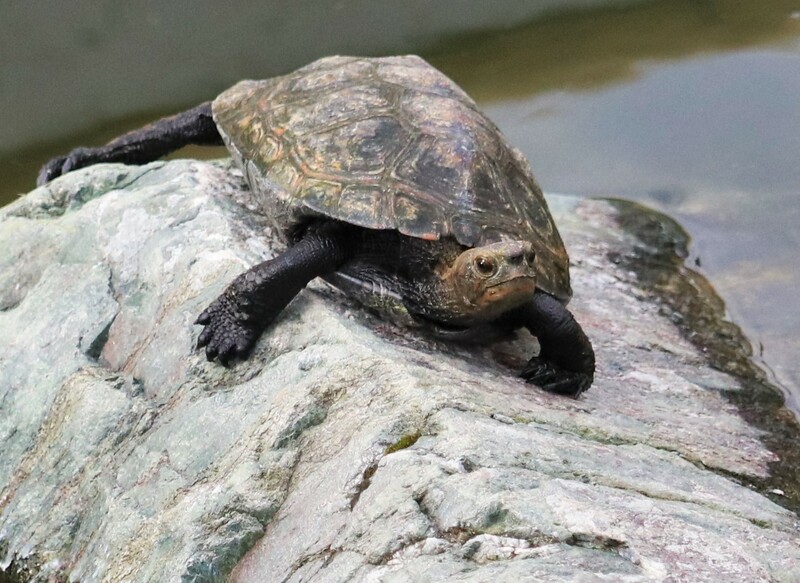 The turtles in the temple are particularly rare as they are indigenous to Japan. The most common species seen around today are in fact, invasive.